Factfulness by Hans Rosling was an excellent book with the subtitle Ten Reasons We're Wrong About the World — and Why Things Are Better Than You Think. Rosling died from cancer in 2017 and the book finished after his death and written with his two longtime collaborators, son Ola Rosling and daughter-in-law Anna Rosling Ronnlund. The couple created Trendanalyzer, the bubble-chart company acquired by Google and the three of them founded the Gapminder Foundation. 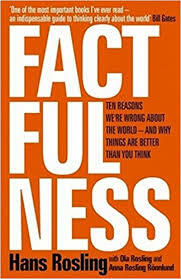 Factfulness makes the case that things really are better now than in the past and as Rosling knew he had terminal cancer during the writing process, he noted in the jacket for it that "this book is my last battle in my lifelong mission to fight devastating ignorance. Previously I armed myself with huge data sets, eye-opening software, an energetic lecturing style, and a Swedish bayonet for sword-swallowing. 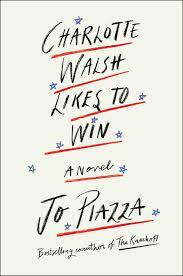 It wasn't enough, but I hope this book will be." 1. The Gap Instinct - Most societies are much more in the middle-class than people think, and there's really no longer the same clear delineation between developed and developing world, otherwise known as us and them. 2. 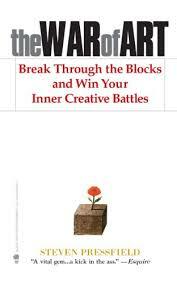 The Negativity Instinct - We remember bad events and circumstances more vividly than gradual good improvements and things can be both bad and better at the same time, it's not binary. 3. The Straight Line Instinct - Things don't usually follow straight line growth, because something is currently increasing at a certain percentage, it doesn't mean it's going to continue at the same rate. 4. The Fear Instinct - When we're afraid, we don't think rationally, decisions should be made when calm and frightening and dangerous aren't always the same things. 5. The Size Instinct - We often are subject to the urgent vs. important concept... limited to the things we see right in front of ourselves, which makes it harder to allocate resources and attention. Additionally, the best way to understand a number is often to divide it by something, for instance there's pollution generated by a country, and then pollution generated by a country divided by the number of citizens. Also, beware of lonely numbers, when you see a number, it should be compared to another to get a good conclusion about it. 6. The Generalization Instinct - Assumptions can be that people's life differences are driven by religion, culture, or location, but really it's income that drives any differences in lives across the world. 7. The Destiny Instinct - This is assuming that things simply are as they are. However, incomes rise in areas and change occurs. Slow change is still change and there can be both bad and better at the same time. 8. The Single Perspective Instinct - We find simple ideas attractive and experts and activists are predisposed towards their ideas, it's part of who they are, a worldview takes precedence. 9. The Blame Instinct - It's easy to look for simply assigned blame (like deciding who at fault when refugees drowning between Africa and Europe), but we should look for causes, not villains, and systems, not heroes. 10. The Urgency Instinct - Things are rarely so urgent that something has to be done immediately, should slow down and consider the data and consequences of an action as fear plus urgency is a bad combination. Rosling is known in part for his TED talks, with them having more than thirty-five million views, and he, Ola, and Anna provided in Factfulness an excellent data-driven world view, one that Bill Gates noted as "one of the most important books I've ever read, an indispensable guide to thinking clearly about the world." 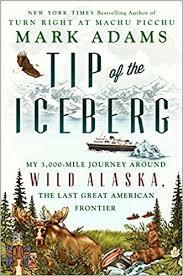 Tip of the Iceberg by Mark Adams was a excellent travelogue book with the subtitle My 3,000-Mile Journey Around Wild Alaska, the Last Great American Frontier, which provides any enjoyable retracing of an 1899 expedition led by railroad magnate Edward Harriman, historian C. Hart Merriam, and John Muir. Adams in the book alternated between chapters on the original voyage and his own and at first traveled on the Alaska Marine Highway System of ferries, beginning in Bellingham, WA and then up through Southeast Alaska, with stops including Ketchikan, Wrangell, Juneau, Whittier, Skagway, Haines, Sitka, and Gustavus, with that a jumping off point to Glacier Bay, in which Adams went on a vividly described overnight kayaking trip. Also fascinating from this portion of the book was description of Lituya Bay, a fjord seven miles long, two miles wide, with sides that rise more than 6,000 feet, and which had an earthquake/landslide-triggered 1,700 foot high tsunami sweep through in in 1958, killing several, but also leaving a few survivors who recounted the experience. After journeying through Southeast Alaska, Adams went to Kodiak, and made a subsequent stop in the Valley of Ten Thousand Smokes in Katmai National Park, an area formed out of a 1912 eruption of Mount Katmai that went on for three days, ejecting 30 times the volume of the 1980 Mount St. Helens blast. He concluded the trip by going through the Aleutian Islands, bypassing the portion of the Harriman expedition where they went across to Siberia and stayed for two hours, and then flew to Nome and also visited Shishmaref, a village just north of there gravely threatened by climate change. The book was an entertaining and interesting one, with the original expedition providing both a blueprint and historical context for the modern-day adventures described.